Facebook has acquired the speech-recognition start-up Wit.ai, it has been confirmed. Neither company revealed what it planned to develop, but Facebook praised Wit.ai's ability to "turn speech and text into actionable data". The existing Wit.ai platform would remain, the start-up said. 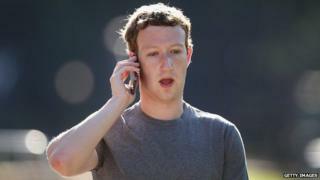 According to one analyst, it could herald Facebook's move into voice messaging, or even voice control of home appliances. "We have seen a lot of messaging companies trying to connect messaging apps to devices, such as Tencent's WeChat. They are doing things like connecting apps to home appliances," said Pamela Clark-Dickson of analyst firm Ovum. She said that Facebook's advantage over existing firms in the market, such as Hive and Sonos, was its extensive reach. "If you have more than a billion users and you can connect them to multiple devices, that becomes a very powerful offering. Wit.ai also has the messenger agents and you could see those being incorporated into Facebook," she added. She said that while the Facebook-owned WhatsApp has been struggling to get its own voice product to market, Facebook was unlikely to simply use Wit.ai to help out in that respect. And she said she believed that the Facebook-Wit.ai offering, when it arrived, would be more than a Skype or Siri-like service for Facebook. "I believe it will add value," she said. Wit.ai, which has been described as "the Github, the Wikipedia, the Bitcoin of natural language" by founder Alex Lebrun said: "Facebook has the resources and talent to help us take the next step." In a statement, it said: "Facebook's mission is to connect everyone and build amazing experiences for the over 1.3 billion people on the platform - technology that understands natural language is a big part of that, and we think we can help." It confirmed its own platform would "remain open and become entirely free for everyone". It said: "Developers are the life of our project and the energy, enthusiasm and passion of the community has helped turn what was once just a lofty dream, into a reality." Facebook confirmed the deal to the BBC, although neither firm disclosed details of a fee. A spokesman said: "Wit.ai has built an incredible yet simple natural language processing API that has helped developers turn speech and text into actionable data. We're excited to have them on board."